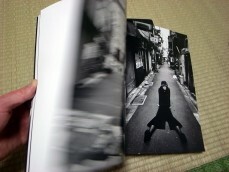 The thing about Daido Moriyama books is that as nice as they are, by now they certainly won’t surprise anyone. You know what you’re going to get the moment you see the cover. Ginza? Buenos Aries? Hawaii? You know exactly how the pictures are going to look. As a native Nebraskan I can tell you that if Moriyama were to spend a week shooting in the Cornhusker State the inevitable collection is going to look just like Moriyama does Nebraska. And it probably wouldn’t look all that different than his pictures of anywhere else he has photographed. Until the other day the only book by Moriyama that I had in my collection was the cheaper of his two Hokkaido books. To me Moriyama had always been one of those photographers whose work was never all that interesting and it wasn’t until his Hokkaido show at Rathole gallery in early 2009 when it clicked. I found his exhibited work extremely moving, the gravity of which was revealed in a gallery setting with prints metaphorically layering upon one another to create a dizzying experience. I went five times to that show. In print (as opposed to prints) the books felt flat. Literally his pictures are layered on one another in book form but nearly all of his books were too constricting, too much about the book than the images to be of much personal interest. 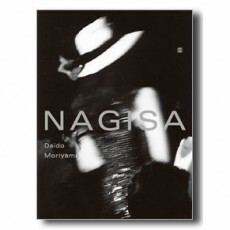 So the other day at Sokyusha, the preeminent photo book publisher in Tokyo, I surprised myself by purchasing a copy of Moriyama’s recent book Nagisa. As I flipped through it, from behind the counter Ota-san, the shop owner, mentioned that this collection is simply of Moriyama’s current love interest, a kabukicho & kayokoku singer named Yoko Nagisa. While my photography book collection might be lean on Daido Moriyama, books featuring lovers or wives of Japanese photographers are well represented. Looking at it in the context of such a book it was doubly interesting. Yoko. What else could her name be but Yoko? On one hand Nagisa follows that grand tradition of Japanese photo books centering on a singer or musical act. On the other hand it follows the other even grander tradition of Japanese photo books in that it are collections of photos of a lover. 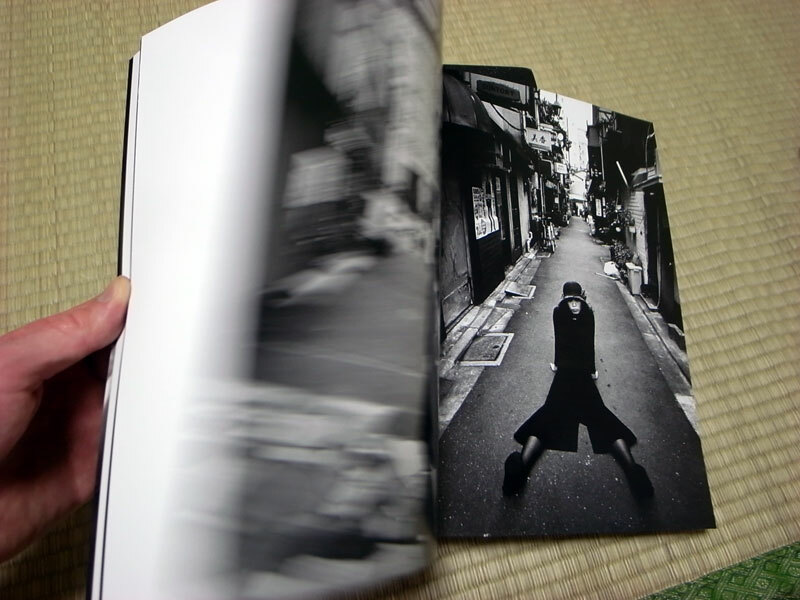 Since both of those hands belong to Moriyama it is very much the book you might imagine when hearing “Daido Moriyama’s Kabukicho lounge singer girlfriend love story”. If you know much about any of the words in the previous sentence you probably have a good idea as to how this book looks. The book is handsome. It’s thick, visually dense, and features exquisite printing. Laid out flat it pulls the viewer in. Plus she is gorgeous. But for as hefty as the book is and for as distantly beautiful as Ms. Nagisa is there isn’t much development of her or her relationship with the photographer throughout all 200+ pages. She makes a good picture, hell, Moriyama makes a great picture and that’s what this comes down to. It’s two people good at what they do – one skilled with a camera, the other one looking great with eyeshadow in vintage outfits, moody bars, back streets of Shinuku, singing at Moriyama exhibitions, on desolate beaches, in the last train car, or among cherry trees in bloom. Sometimes it is several of these things at once. But for every moody monochromatic sunset or languid look off into the distance one might feel that what’s not captured is true personal development. We don’t know any more about Yoko Nagisa by the last few pages than we could gather from the first ones. Moriyama’s Yoko is certainly not Araki’s Yoko. That said, maybe we don’t need to expect intense character development or a Deep Story when looking at collections like this. A beautiful book can be just that. In this way this collaboration between these two performers has resulted in something well worth a look. 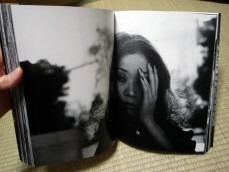 You can see more images from the book, as well as an interview with Moriyama and Nagisa, in this video (Japanese only). Nagisa is available in the Japan Exposures bookstore. 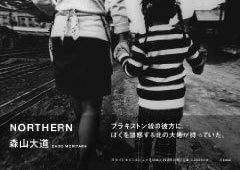 We’ve just got in copies of Daido Moriyama’s brand new book, Northern, featuring work Moriyama shot in Hokkaido during a three-month trip in 1978. This work was first brought to a wider audience last year with an exhibition at Tokyo’s Rathole Gallery — accompanied by a massive $200-plus tome Hokkaido which featured over 600 photos — as well as several exhibitions of the material in Hokkaido itself. The current book weighs in at a mere 200 or so pages, with “only” 176 photos, but while it may not be as comprehensive as the book of last year, it is still quite a beauty and has instantly propelled itself to the top of my favorite Moriyama books. (Takuno 1987, now hard to find, tops this list, if you’re curious). 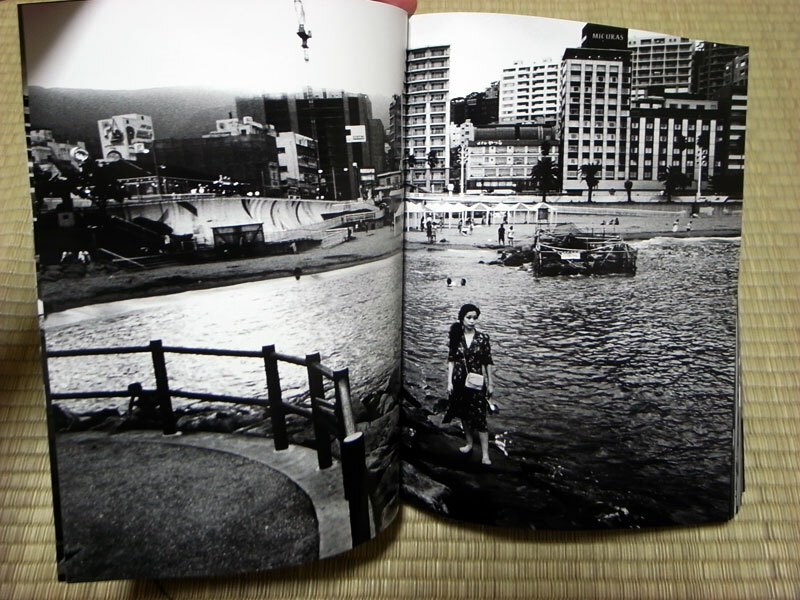 Outside of photographs that accompany an interview with Moriyama at the beginning of the book, as well as those few that accompany some essays at the back of the book, the vast majority of photographs have been printed full-bleed, one to a page. Given that this is an A4-sized book (8.5 x 11.5 inches roughly, for those in the US), it makes for a sumptous offering. (And truth be told, the paper is of a thicker and nicer quality than the Rathole book). Every Moriyama outing is full of grain and tilted camera angles and stray animals, and there is plenty of that to go around here. But somehow these Hokkaido photographs come dripping with even more texture and pathos. Falling snow looks more like little pinholes in a distressed 35mm film negative, and the more open-space quality of Hokkaido, as opposed to the normal Tokyo stomping grounds of Moriyama, effuses much of the work with a reflective loneliness. In addition to the book, there is a 58-minute DVD of an interview with Moriyama on the soundtrack while a slideshow of the Hokkaido work plays. Essentially the interview is the same as that which appears in the book (both in Japanese only), but many of the photos included in the slideshow do not appear in the current volume, creating a real value add. Northern is for sale in the Japan Exposures bookshop.